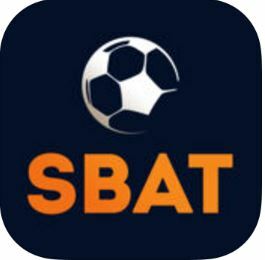 Live Football Stats by SBAT.com, is an app launched exclusively for the football fanatics around the world and provides them with live football scores, statistics and results for almost every game. 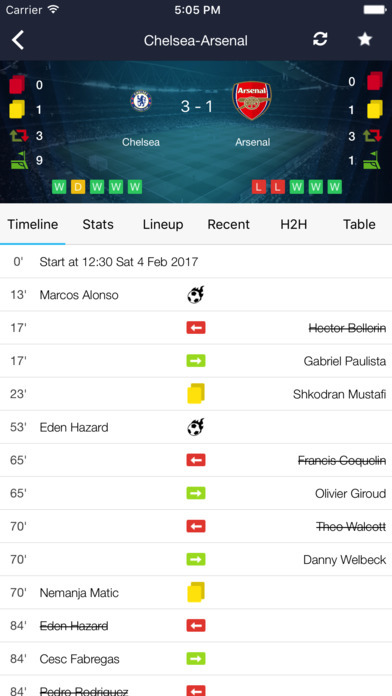 Get live updates in your hand with scores and stats from all major footie leagues including The Premier League, La Liga, Seria A, Bundesliga and more! The game is compatible only on the iOS platform presently, with the Android version ready to be rolled out in the coming weeks. 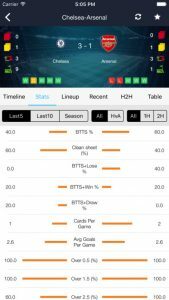 With constant updates from football matches taking place all around the world, the application is wholly dedicated to the football fans with every minute details, highlights and betting tips. Once you download the application, you can look up to schedules, standings and news, lineups, live scores, match predictions and analysis, complete with configurable notifications so that you never miss out on the latest developments. Users can go through million of live scores from the matches that are taking place and even from those that have been held in the near past, from every minor and major league around the world. 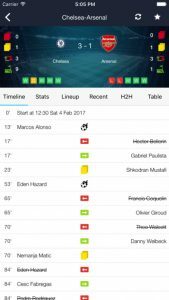 The highlight of the application lies in the availability of in-dept pre-match statistics that are available for almost every game. 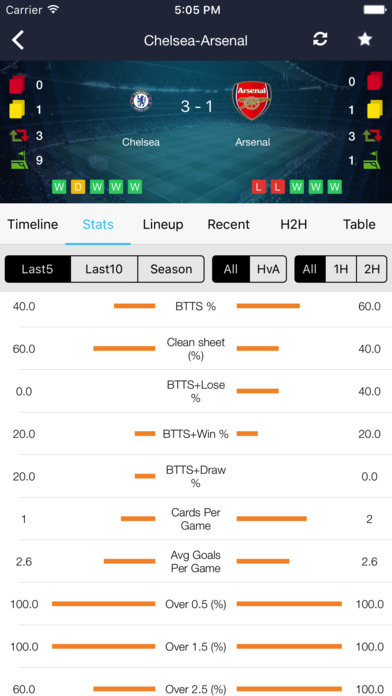 It isn’t just a case of seeing how the two opposing teams fared the last time they faced off, as users can look at form guides over the last 5-10 games and then have a host of stats over that period like percentage of times Both Teams Scored in matches involving the home/away team. On an average, the app pulls in stats for over 100 different scenarios. This sort of in-depth coverage makes the app viable for journalists as well as professional punters. Tapping into this data allows the casual user to have an expert experience and in an increasingly stat-obsessed world provides the perfect complement to live viewing. The in-app navigation is really smooth with the design and layout of the application being extremely simplistic and to-the point. Everything is just placed where it needs to be making it really feasible for us to jump to the desired stat etc. It is extremely easy to look up to any match highlight, stat or facts. 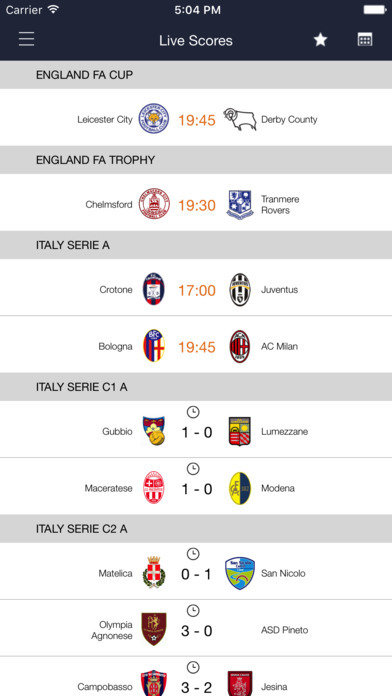 Also, there is a ‘Favorites’ zone that provides instant access to your favorite matches and leagues. 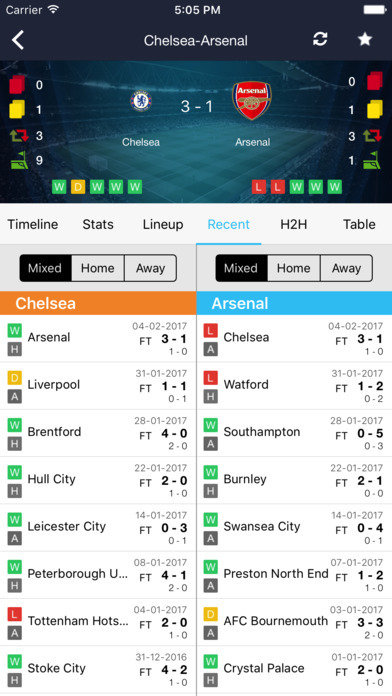 The categorization of the app features is done just as required with Timeline, Stats and Lineup being the main access options. Overall, the look and feel of the app perfectly goes with its purpose. Football has almost 100 million devoted fans all around the world. 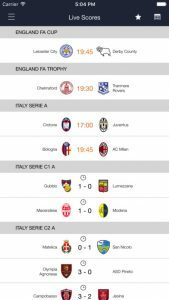 If you too are a die-hard fanatic and interested in keeping track of the latest match news or just want to catch football fever, this app is just for you. The application is available to download from the iTunes App Store for absolutely no charge.